Arrange the elements as you desire onto the wreath form and attach with hot glue. 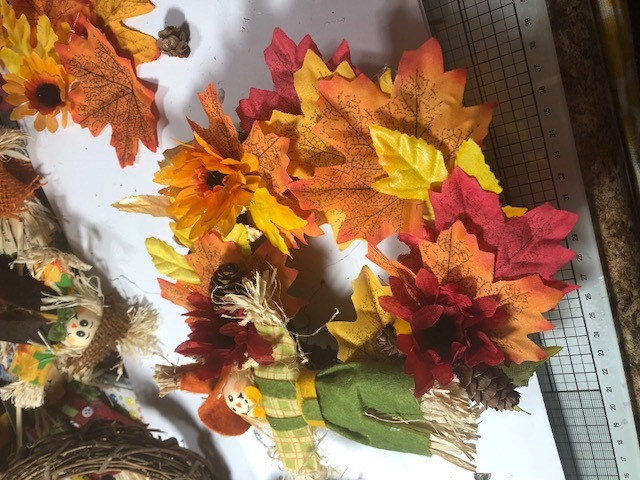 These will be finished with small yellow pull bows and a “fall” banner. I was able to make 6 of them in less than 1/2 an hour. These will be patient gifts for the month of November. I will also be making them for an upcoming craft fair. They are easy to mass produce and to make for any occasion you desire.